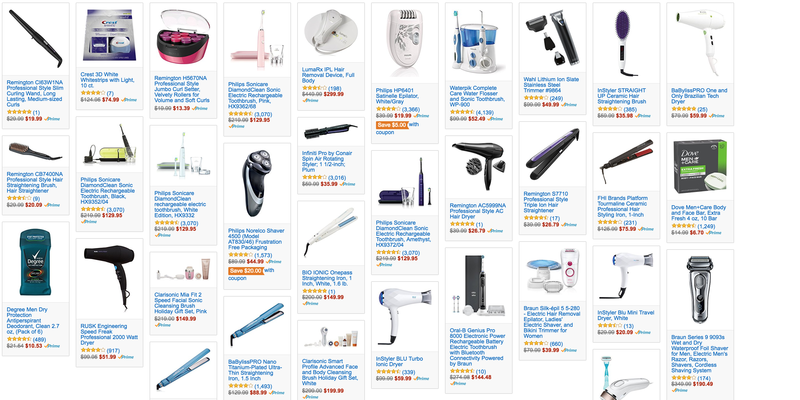 Amazon’s got your Bathroom gear upgrades right here. There’s something for everyone but my personal favorite is the Wahl Lithium Ion Slate Stainless Steel Trimmer for $49.99 (half off). This replaces a bunch of cheap garbage shavers in the bathroom. I’m also seeing all time lows on Soap, Deodorants, Electric toothbrushes, hair dryers, and a bunch of women’s hair products that I don’t even understand. There’s even a highly rated Gillette Venus Laser hair removal system for $249.99 shipped ($150 off). Instant doghouse guys but worth it.